Offshore winch is one kind of offshore equipment used on different types of vessels or offshore platforms for multiple marine operations. According to different applications, the offshore winch can be divided into offshore crane winch, offshore anchor winch, offshore mooring winch, offshore tugger winch and so on. The offshore crane winch is mainly used for lifting or pulling operations on vessels or platforms; the offshore anchor winch is installed on vessels for the anchoring operations, and the vessels can be fishing vessels, supply vessels, salvage vessels, merchant vessels etc. 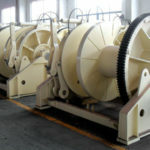 The offshore mooring winch is applied on vessels for mooring operations and the vessel are also can be different types. Take fishing vessel as an example, when it meets harsh environment or finishes the fishing and it needs to stop at a port or a pier, the offshore mooring winch will be used to moor it at the chosen mooring points to make sure the safety of the fishing vessel. As offshore tugger winch, it is used on towboats to tug other vessels. For different types of ships, different windlasses are selected according to the needs, for example, an offshore towing winch with heavy rated load should be used on a tug boat when it needs to tow large vessel losing self-navigation capacity on sea. Speaking of drive mode, offshore windlasses can adopt different power modes. 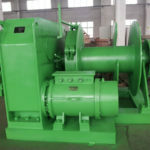 There are offshore air winch, offshore electric winch, offshore hydraulic winch, offshore combined winch (electric/hydraulic), offshore winch driven by diesel engine. 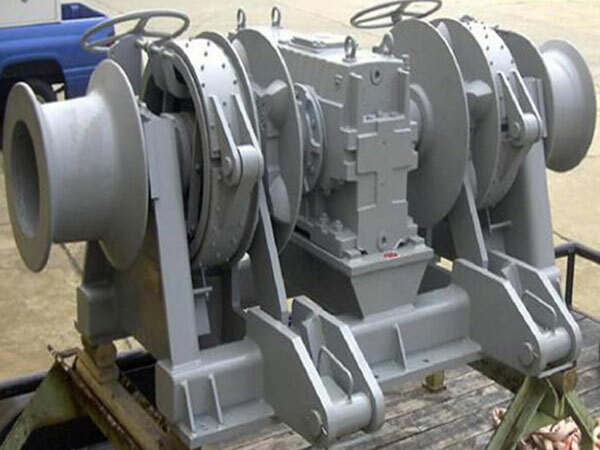 The offshore electric and hydraulic winches are widely adopted on ships and large scale ships prefer the latter. 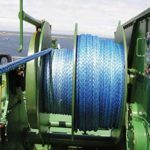 Rope, cable and chain can be used on vessels and the offshore winch is designed according to the diameter and rated capacity of the rope, cable or chain. The line should be with enough strength and toughness to bear the load because the offshore environment is always harsh and the marine operations demand higher for the winch machines. 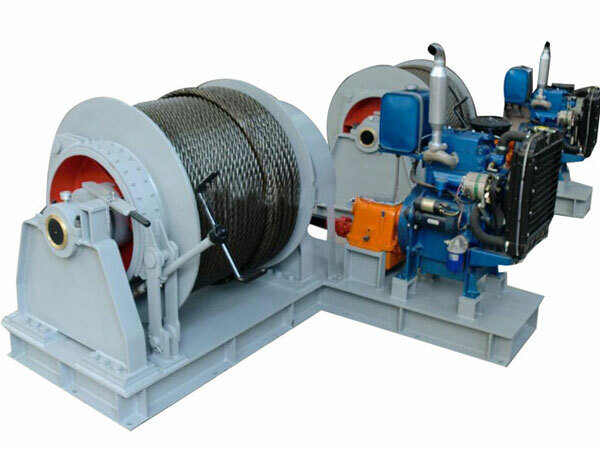 Various marine winches are needed for different offshore operations. 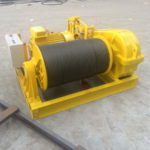 One offshore winch can be used for more than one kind of operation, for example, offshore anchor mooring winch is used both for anchoring and mooring operations. 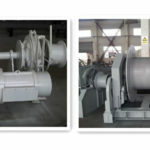 Sometimes, two or more winches are connected or combined with one another to form a system for some specified operations. 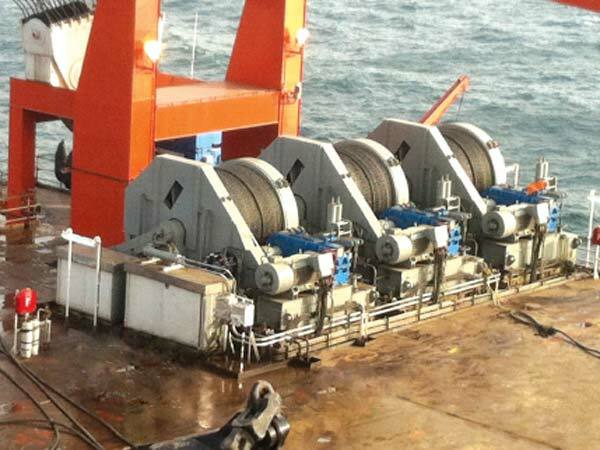 Under such circumstance, there are usually two or multiple drums on the combined winches, and the drums can be installed in different ways, like waterfall configuration. 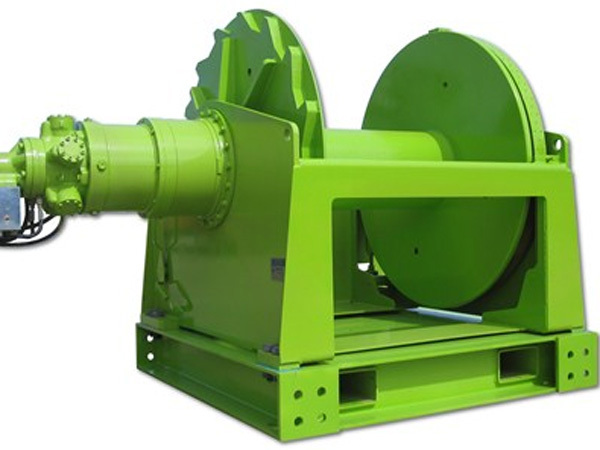 It is important that offshore winch has top quality no matter what kind of power system it adopts. Ellsen has supplied many winches for many customers from different countries and regions. The offshore winches manufactured by us have passed certificates and been tested. 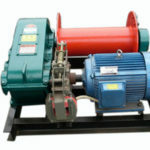 We offer free guidance for installation and operation of the winches. We have excellent warranty and after-sale service to make sure the reliable use of the winches for longer time. Contact us for details on offshore winch for sale.